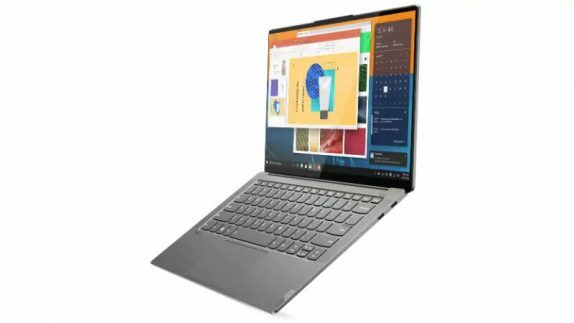 Lenovo, at the CES 2019 event has announced the Yoga S940 and Yoga C730 notebooks, Yoga A940 desktop, Yoga Mouse with Laser Presenter. The Lenovo Yoga S940 comes with intelligent AI-powered sensors that detect your absence and auto-locks the display to protect your data from strangers. It comes with upto 4K HDR display, up to 500 nits brightness. The Lenovo Yoga S940 also supports Dolby Vision and Dolby Atmos speaker system, paired with smart audio amplifiers. It is also the first laptop to sport a Contour Glass panel that wraps around its bezels. It is powered by the Intel Core processor, coupled with up to 16GB of LPDDR3 RAM and up to 1TB PCIe SSD storage. It runs on Windows 10 and the company claims that it can deliver up to 15 hours of battery life on the full-HD resolution. The AI features can automatically filter out most ambient noise and blur out distracting backgrounds during video calls. The Lenovo Yoga S940 features Glance by Mirametrix AI-powered attention-sensing software including face, eyes and gaze sensing that can help increase productivity too. 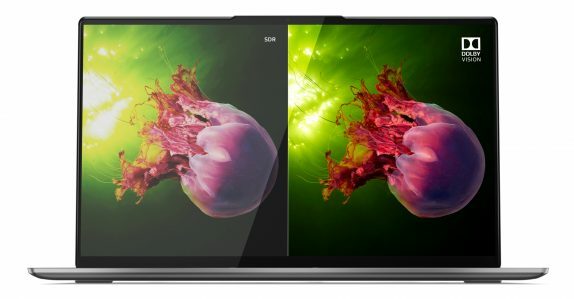 Snap Window allow you to look from your main laptop display to a second screen, shifting open windows and content contextually to a connected external monitor. It comes with Windows Hello integration and an infrared (IR) camera. 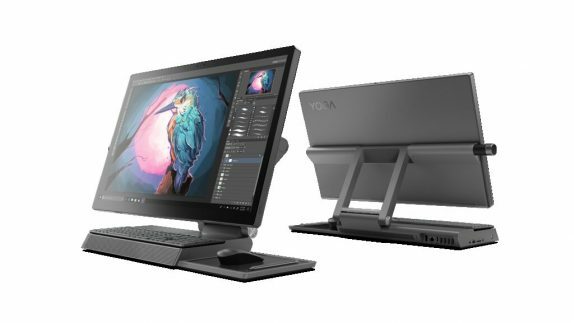 The company also introduced the Yoga A940 all-in-one (AIO) desktop. It sports a 27-inch IPS display with optional 4K touchscreen support along with Dolby Vision technology. It comes with a hinge that enables the display panel to tilt to comfortable 25-degree drafting mode. The Yoga A940 comes with the Lenovo Precision Dial which is a controller that’tailor-made for designers, photographers, and videographers to make more precise selections and adjustments to their content. The dial can be placed on either the left or right side of the Yoga A940. The dial is currently optimized for Adobe Illustrator, Photoshop, Lightroom and Microsoft Word, Excel and PowerPoint. It is powered by upto8th-gen Intel Core i7 processors, AMD Radeon RX 560 discrete graphics, up to 32GB DDR4 RAM, and up to 512GB PCIe SSD or up to 2TB SATA HDD. The Yoga C730 is a 2-in-1 convertible device that sports a 15-inch 4K AMOLED display. It is capable of delivering premium audio through the built-in JBL speakers and Dolby Atmos support. It is powered by upto 8th-gen Intel Core i7 processors, has support for Windows Ink for digital pen input, Windows Hello, and Cortana and Alexa support. 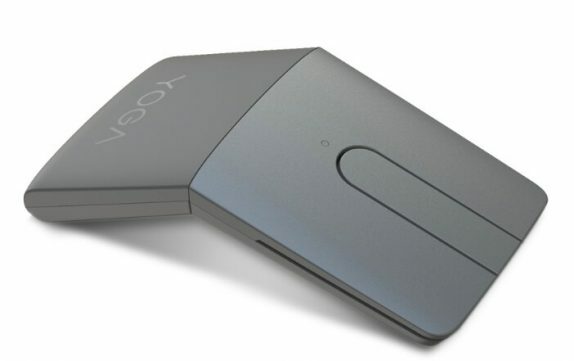 The company has introduced the Yoga Mouse with Laser Presenter. It comes with up to 1,600 DPI for high-precision tracking on nearly any surface into a flat, fully functional laser presenter. It is powered by the AI, advanced audiovisual technologies. The Yoga A940 starts $2,349.99 (₹ 1,65,000). It will be available through Lenovo’s online store and Best Buy starting April. The Lenovo Yoga S940 will start at $1,499.99 (₹ 1,05,695 approx.) and is expected to be available starting May 2019. 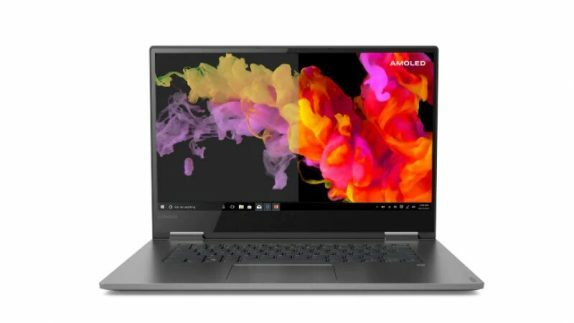 The 15-inch Lenovo Yoga C730 with AMOLED is expected to be available in select markets starting March 2019. The Yoga Mouse starts at $69.99 ( ₹ 4,930 approx.) and is expected to be available starting in June.